Pest Infestations? We Got Your Back! 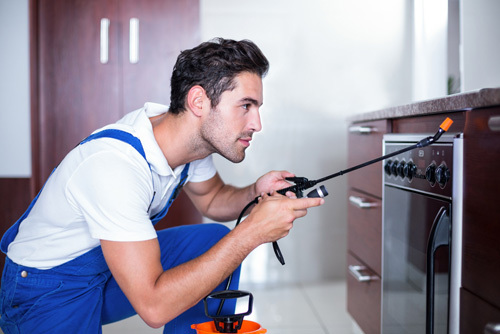 When it comes to pest infestations, no other pest control company comes close to the quality of service Garrie Pest Control can offer you. Learn why property owners throughout Peekskill, NY and the surrounding areas choose our company to handle their pest infestations and problems. Come to us for an in-depth pest inspection. "Thanks Steve, this all looks great. I will be here all day tomorrow if that works for your technician. Let me know! Thanks again. Your service today was superior. I have always liked Garrie, but today you went above and beyond. I have already put in a call to my favorite real estate agent at Houlihan Lawrence, she loves to have recommendations to give to her new homeowners." "Thank you so very much for the outstanding service you have provided our family. Times have been so tough financially and you were compassionate and flexible with us. The people we bought our home from were Garrie's customers for many years. We were so disappointed when the realization came that we could no longer afford to continue with our annual contract. However, through your counseling and honest approach, we were able to come up with a plan that keeps us as Garrie's customers and helps us meet our monthly obligations. As a person who used to do hiring for a corporation, I can tell you that you did an amazing job handling our account and provided outstanding customer service! Thank you very much and we look forward to many more years of being Garrie's customers." "I wanted to let you know how effective and professional your people have been in servicing my house in Croton-on-Hudson. I've found them to be knowledgeable and not pushy with new services. I was most unfortunate to be stuck with Terminex, which bought out Lancaster Pest. I regularly saw dead mice in traps in the garage. Since you've taken over since the last two years with those "black triangles" you use, I've seen not one mouse dead or alive anywhere. Also, one of your servicemen, without being pushy, suggested a garage strip on the bottom of the garage door to keep out pests. I did it and he installed it professionally and quickly. Thanks for the good work. I look forward to your keeping it up." Are you noticing an increased number of pests loitering in or around your home? Call our company so we can find out immediately if you’re dealing with a serious pest infestation. Schedule an inspection with our State Certified Pest Control Technicians by getting in touch with us today. Let us know if you have concerns regarding our pest control procedures.